I kept seeing black glass with sparkles today. I had a hard time accepting that I was going to make an all black mosaic but I finally gave in since no other ideas were emerging. 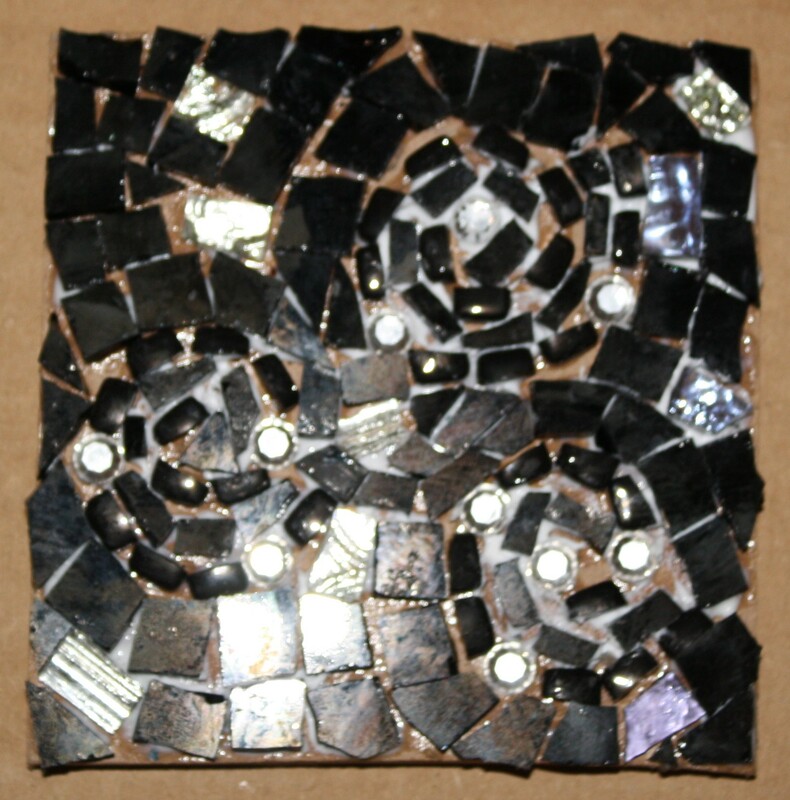 I had no idea what the design was going to be until I started working on the mosaic.